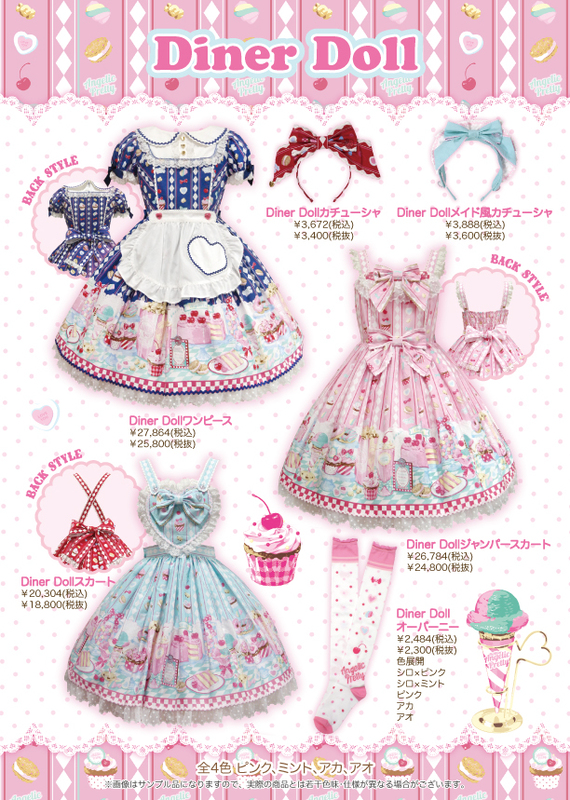 Finally Angelic Pretty's print 'Diner Doll' will be released and it is so incredibly cute! I feel like the stock photos above don't even do it justice I mean just look at the print on the picture bellow. I mean there is just so much adorable things, I think this might be my favorite print from this season! Though the cuts are a bit simple and could be better so not sure it's my favorite dress, but might be. 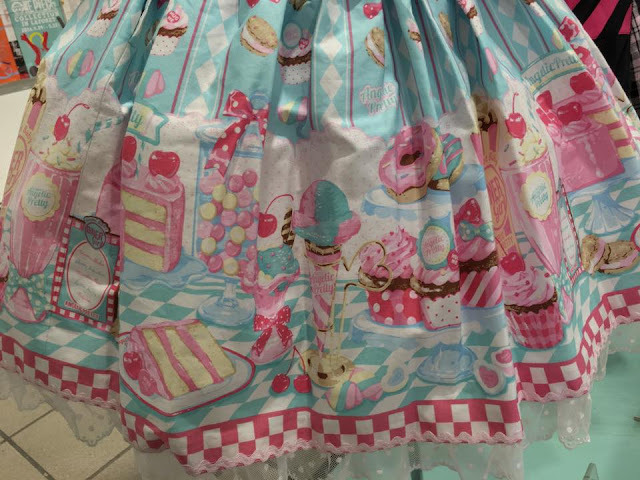 I want the jsk in mint so badly I just have to figure out how to afford it. The icecream, cakes, donuts, milkshakes and everything is just too cute. I need this in my life.